Some might argue that disruption has yet to arise in the local legal industry the same way as maybe say Grab has disrupted the local taxi industry. Why might this be so, and when and how do you think disruption will finally come to Singapore’s legal industry? I think disruption will impact the local legal industry. It is just a question of when legal industry players will feel the impact of disruption, just as there is already disruption in countries like China, the UK, and America. In Singapore, the technological disruption of the legal scene is just beginning. It is not as advanced as in other countries. This is might be due to the way law firms are structured and the way they charge their clients, providing law firms less impetus to adopt technology to streamline their operations. However, legal disruption is certainly a reality that we cannot afford to ignore, and its effects will be felt sometime soon. SMU is the Singapore Academy of Law’s (“SAL”) academic partner in the Future of Law Innovation Programme (“FLIP”). How can local law students be prepared for the future legal industry? Are local law students aware of the disruption coming to the industry? We are delighted to have signed the MOU with SAL’s Future Law Innovation Programme. We believe that will allow our students to participate in the conversation about law and technology. It is important for our students to be prepared for this new reality, and as a law school, we will do our best to ensure that they are prepared. Coming back to your question on how students can be prepared for this new reality, I suppose the prior question to ask is, what is this new reality? What will the legal profession look like in the future? The prior question to ask is, what is this new reality? What will the legal profession look like in the future? With more advanced technology that takes over the lawyer’s substantive work, we can expect that the skills required of junior lawyers will change dramatically. Lawyers will be expected to work with other people, such as legal technologists and project managers, as clients look for a one-stop solution to their problems. First, students must of course know legal technology. They must be introduced to technologies. I’m not sure if that means they should know how to code, but certainly they must learn to think like programmers. At SMU Law, we are thinking about how to incorporate that into our curriculum. Second, students must be prepared for the new legal issues that will arise from the use of legal technology, and our curriculum should expose students to these issues that will come up in practice. Third, in an interconnected world shaped by technology, soft skills become more important. And that is a strength of the SMU pedagogy – the emphasis on group presentations, the ability to engage and participate in class. These are strengths we should further hone. Last, interdisciplinarity of practice. As technology takes over some of the substantive work that lawyers do, lawyers increasingly need to work with other disciplines to provide a holistic service to clients. The interconnectedness of SMU’s various faculties and the opportunity to pursue double degrees and second majors will help prepare our students for the new reality. This is why we launched a new degree programme in Computing and Law which will be jointly offered with the SMU School of Information Systems earlier this year. Let’s talk more specifically about artificial intelligence (“AI”). AI is predicted to herald the next industrial revolution. How can AI assist lawyers, and how do you think AI will transform practice – now and in the future? I do not profess to be an expert on AI technology. But I understand that AI can take over some of the more repetitive, manual areas of a lawyer’s work and allow the lawyer to focus on what it means to be a lawyer – to provide the higher-value analysis that clients are paying them for. First, it will more sharply define what it means to be a lawyer. Gone will be the days where junior lawyers slog through tedious grunt work like discovery. AI will help lawyers focus on what it means to be a lawyer. Second, it will allow lawyers to be more interdisciplinary. In the future, as AI continues to encroach on tasks traditionally performed by lawyers, lawyers will need to pick up new knowledge and skills to provide more value to their clients – especially skills that are outside of the law, such as knowledge management, programming, and business management. The result is that the lawyer of the future will be one who is enabled by the law, powered by technology, and shaped by a range of skills and perspectives. What are some steps that law students and young lawyers can take to prepare themselves to embrace AI, amid all of their commitments? I think it is really about setting aside time to learn about the developments. At the end of the day, it takes different parties working together to make exposure to AI a reality. Just as much as the student/employee needs to put in aside some time to enrich himself or herself, so too must the employer commit to a culture of learning and further education. This is where SAL’s FLIP programme will be helpful to equip law firms with knowledge of opportunities, to both educate themselves and also their employees. I see it as a fundamental step that the Singapore legal profession needs to take, and I’m glad that it’s moving in the right direction. 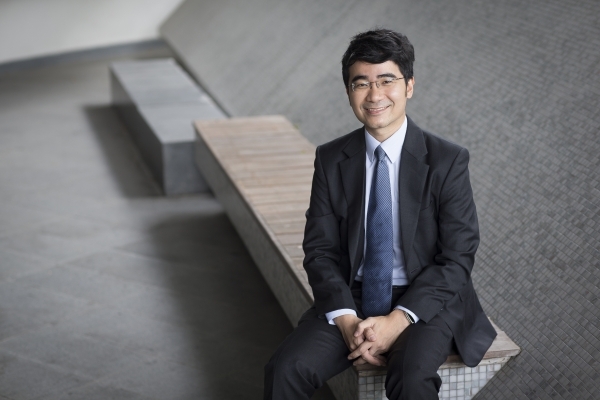 The SMU School of Law started as a Law Department within the Lee Kong Chian School of Business, created and headed by Professor Andrew Phang (a present Judge of Appeal in the Singapore Supreme Court). In 2007, the Law Department became the SMU School of Law, welcoming its first batch of students to its LLB and JD programmes. SMU School of Law since expanded its offerings to include LLM degrees and seminars for legal professionals to obtain continuing professional development (CPD) points through the SMU Law Academy. SMU Law has also established research centres, including the Centre for Cross-Border Commercial Law in Asia (“CEBCLA”), Applied Research Centre for Intellectual Assets and the Law (“ARCIALA”), and the Singapore International Dispute Resolution Academy (“SIDRA”). In 2017, SMU Law acquired its building along Armenian Street with state-of-the-art facilities such as the Kwa Geok Choo Law Library and the David Marshall Moot Court. Despite being one of the world’s youngest Law schools, SMU Law’s students have consistently placed in the top three for the biggest and most prestigious mooting competitions, ranging from the Jessup and Vis to Price and Frankfurt.